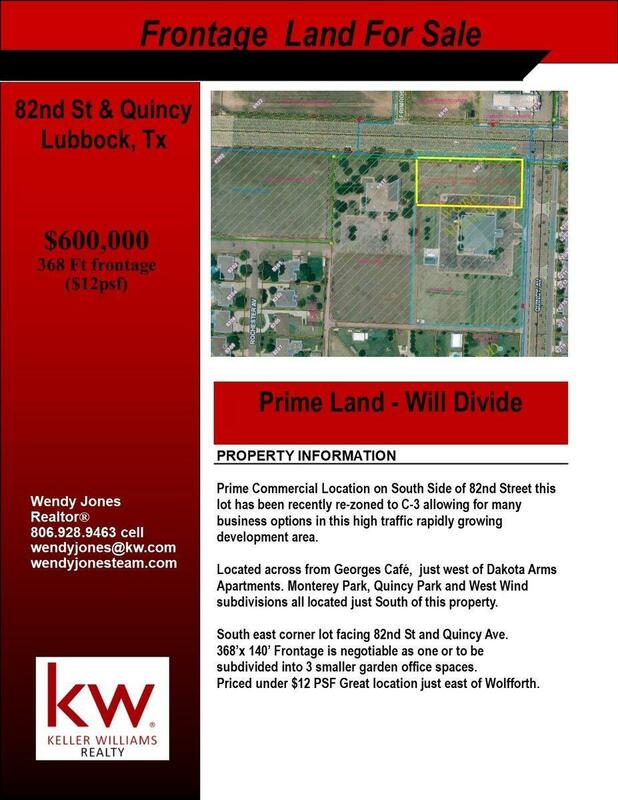 Frontage Land for Sale approx 368 ft. High traffic count location on 82nd St willing to divide. 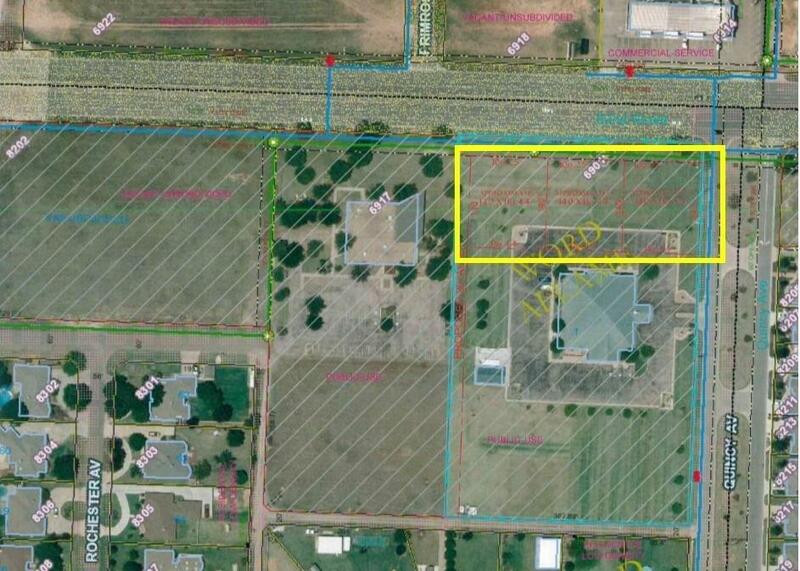 Zoned C3, great location for fast food, garden office and many other options. Listing provided courtesy of Wendy Jones of Keller Williams Realty. Listing information © 2019 Lubbock Association of REALTORS® MLS.